Ayenda Rooms is the largest digital hotel chain in Latin America, it operates 45 properties and generates more than $1M. Ayenda runs as a franchise by marketing the hotel, providing its branding and technology, and taking a percentage of the hotel’s sales in return. “This round brings together the right partners and amount of funding to expand to at least 120 new properties by the end of the year,” said Andres Sarrazola, CEO of Ayenda Rooms." 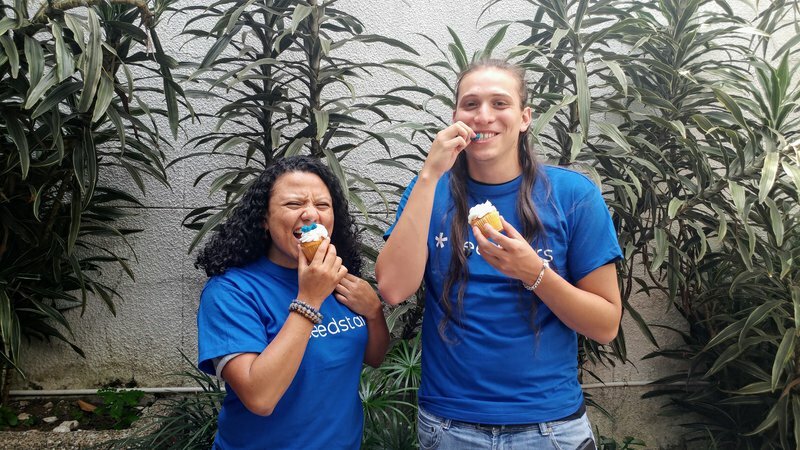 At Seedstars we are celebrating Ayenda’s success too, as their headquarters are located in one of our entrepreneurship hubs, Seedspace Medellin. Our General Manager of Seedspace Medellin Dayana Villamil, who’s witnessed Ayenda since its beginnings, tells us more about how it is to have such a startup in the hub . How is it to work with Ayenda side-by-side? This is one of the most rewarding moments for any entrepreneurship hub: seeing first hand the growth of what started as two shared desks in our coworking area and is now one of the largest members from our global hubs community. On the left, Ayenda’s team at the beginning composed only of two members. Today Ayenda has a team of 20 people. It is one of our most beloved members at Seedspace and an integral part of our community and core. Why, you may ask? Because Ayenda has been in our hub since the very beginning, even before Seedspace Medellin started operating. We have witnessed their efforts and dedication, long nights at the office, endless meetings and unbreakable spirit. Ayenda has always been eager to share their knowledge and learnings: in the pictures Co-Founder Andres (on the left) and Head of operations, Simon (on the right) sharing their experience with university students. Can you tell us about how Ayenda got started? Ayenda started in 2018 with three members. By now it has grown to more than 20; but that was not the real beginning. Andres Sarrazola, Ayenda’s CEO, started his first company at the age of 17 and continued creating different startups and even a marketing agency. After various trials, Andres came up with the first version of Ayenda: A software for hotels that would exclusively promote budget hotel chains through their acquisition channels, in exchange for a percentage of the sales. This project later became known as Ayenda Rooms, the largest digital chain hotels in LatAm. The CEO Andres sharing his experience in fundraising @wework. What makes Ayenda a successful startup? If you ask me what made Ayenda a successful startup, I have to mention two reasons. Firstly, their leadership team is well founded and deeply rooted. It’s composed of the CEO Andres Sarrazola, the CTO Crhistian Gómez and the Head of Operations Simón Gaviria. "If we lead a company, we have to have a mental age, in which our team - regardless of whether it has a higher or lower biological age - recognizes that we undoubtedly know what we are doing and that we are knowingly going along a path that seems to make sense." "Learning needs to happen every day, don’t trust someone who knows the same as the day before." What is so unique about Ayenda? What I value the most from Ayenda is their down to earth attitude; despite their many triumphs, they continue to be real, humble and sincerely grateful. It is evident in the way they manage their team, in how they care for their employees’ personal growth and in the day-to-day activities including their never ending birthday celebrations. Ayenda members enjoying Seedspace Medellin 1st anniversary! We are now very excited for the inauguration of the brand new Ayenda office inside Seedspace Medellin in mid-March. Yes, we had to expand and grow as our members do! We are thrilled and honored to have them in our community, to keep learning together and to enjoy the simple things in life. 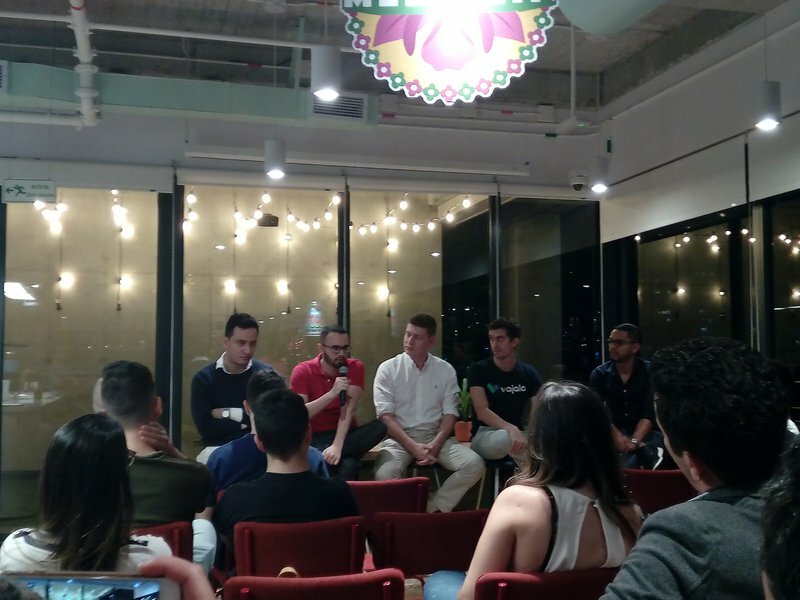 Seedspace Medellin was created hand in hand with its sister hub Seedspace Bogota in January 2018, and has ever since been offering a wide range of opportunities for small startups, digital nomads, freelancers and other like-minded professionals. From shared or dedicated desks to private offices, coliving, workshops and networking events, this hub provides much more than just a coworking and coliving space. It is a lifestyle, a community, a state of mind where ideas are born and exchanged, knowledge is acquired and shared, skills are applied and sharpened. In short, this is where the magic happens! Join our global community of entrepreneurs at Seedspace Medellin! For visits and free-day passes, click here.